In the software industry, programmers release “beta” versions of new programs that they get a select group of users to test. This way, any kinks can be worked out before it becomes available to the public. 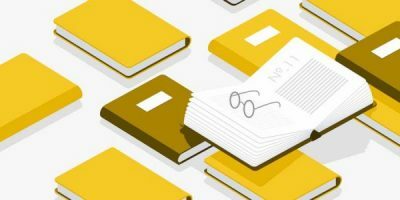 When it comes to publishing, the concept is the same, except the product being tested is a book, and the hopeful outcome is that potentially negative reader reactions can be sorted before publication. If authors are not sure which aspects of their book are working (if any! ), this is a chance to find out. 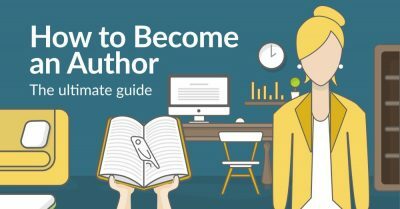 In this guide, we’ll give you pointers for finding beta readers and working with them in a way that’s constructive. But first, let’s clearly define what they are and what they do. Beta readers review finished, but unpublished, manuscripts before they’re fully edited, providing the author with feedback from the reader’s point of view. This might be friend or family member, but the point is that they will think of the book as a casual reader, pointing out things they liked and disliked, and highlighting those last elements writer’s become blind to during countless revisions. A beta reader is the opposite of an alpha reader: the first person who reads and provides feedback on your manuscript, usually while it’s still a first draft. Beta readers also differ from critique partners, as the former reviews the book from the reader perspective, while the latter looks at a manuscript with a writer’s eye — paying closer attention to any craft issues. Sensitivity readers review unpublished manuscripts with the express purpose of spotting cultural inaccuracies, representation issues, bias’, stereotypes, or problematic language. 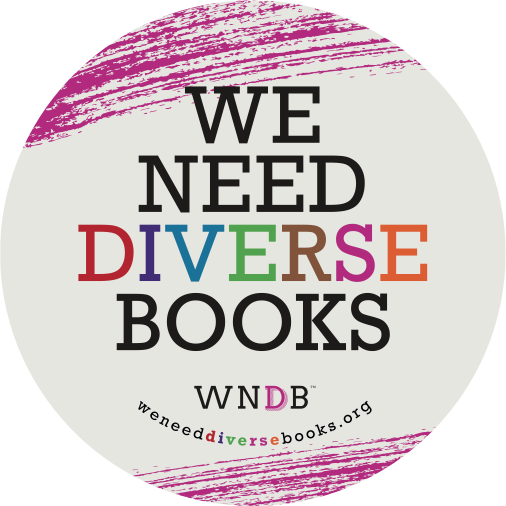 While sensitivity readers are not new to the publishing landscape, working with them has become a more prominent practice with organizations like We Need Diverse Books pushing for more equal — and fair — representation of people of color in literature. Sensitivity readers became something of a hot topic in 2016 when the pre-release of the young adult novel The Continent was quickly met with online reviews pointing out problematic portrayals of people of color. The book’s release date was pushed back and galley copies were sent off to sensitivity readers, which resulted in numerous changes. While they are all forms of quality control that authors can implement before publishing their book, you should not rely on beta or sensitivity readers to do the job of an editor. A professional editor will go through your book with a fine-tooth comb looking for — depending on the type of editor you hire — plot holes, pacing or character development issues, grammatical errors or typos, and more. With as much of the revision work completed as possible, they will give it to an editor. This way, if you are self-funding a professional editor, they don’t need to waste their time — and your money — looking over issues you could have spotted yourself, and can focus on really fine-tuning your manuscript for publication. Yes, you can turn to friends and family for beta reading. They’re probably the easiest people to access, and a good option for that reason alone. But, unless you happen to have brutally honest relatives, you’re best off also looking outside your inner circle to ensure the most honest and candid feedback. Here are a few places to start. Writing communities. These are ideal places to shop for beta readers — because they’ll get it. Other writers who are also in the process of finishing up their manuscript will likely also be looking for beta readers, and you can simply swap manuscripts and get the job done. 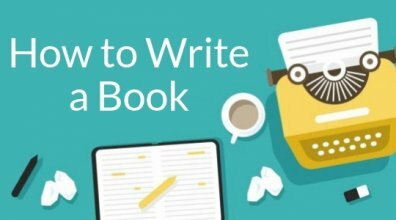 Check out 15 of the best online writing communities for aspiring authors here. Your author website. Have you set up a mailing list? Give people the option to sign up as a possible beta reader. In exchange, you can offer them a free copy of the final published title or an acknowledgment in your book. Goodreads. This bibliophile’s mecca is not just for readers, it’s also home to plenty of groups that support writers. Like this one, which is, luckily enough, aimed at connecting writers with beta readers. Local writing groups. Finding these can be as easy as typing “writer’s group [name of your location]” into Google. As a bonus, people are more likely to meet your deadlines when they have to see you face-to-face. Now that you’ve assembled a dream team of beta readers, it’s time to get them, well, reading. Here are a few tips for ensuring that all parties get the most out of the experience. While honesty is a key quality of a good beta reader, they should also already read and enjoy books similar to yours. Their familiarity with the genre can help the reader point out played-out tropes they feel have been overused, or key elements they feel are missing. Looking for readers who know your subject matter can also help ensure you handle delicate topics sensitivity, and that there aren’t any glaring discrepancies or inaccuracies. Ultimately, you should always write to market — in other words, if your book is young adult fantasy, you want to write a book that young adults who are into fantasy will enjoy. That being said, your feedback is likely to be most comprehensive if you show your manuscript to more than just existing Harry Potter fans. 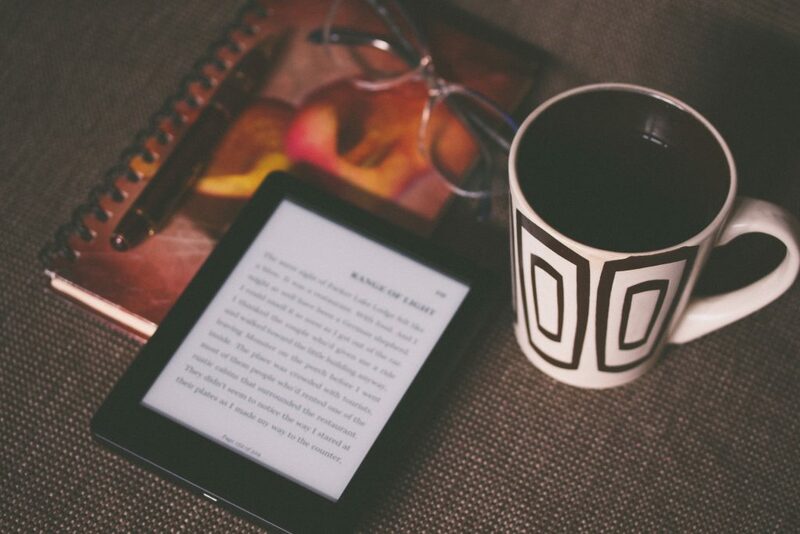 Another good tip: make your book available to beta readers both in print and as an ebook! If your beta reader is only helping you out of the kindness of their heart, you might hesitate giving them a deadline. But as long as you are flexible and reasonable when setting your expectations, your readers will appreciate knowing when you’d like their feedback. And this will ensure you don’t get stuck in a drawn-out phase of endless revisions. There’s nothing that quite tests a person’s patience like writing a book, asking others to read that book, and then anxiously waiting for their feedback. By the time you get word from your beta readers that they’ve finished leaving notes, you’ll be raring to start putting their feedback to use. But it’s important to really examine how implementing their advice or suggested changes will ripple through your manuscript. Consider their feedback carefully, and look for any remarks that were made by more than one reader — this is a good signal something is obviously amiss. There beta readers out there for hire, however, most of the time this is an unpaid arrangement. If you are looking for free readers, decide ahead of time what you might offer them for their help: a free copy of the published book is fairly standard. Sometimes, especially if a beta reader goes above and beyond, authors will mention them in the acknowledgments of their book. 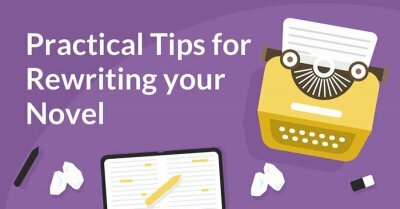 The last tip is to be prepared to give beta readers guidance by prompting them with questions about your book. But this tip is so important, we’re going to give it it’s own section. The opportunity to find out what readers think of your book before you send it out into the world is extremely valuable. If there are specific areas of your manuscript that you're not sure about, take note and put them in a list. If the readers don't mention them in their own feedback, you can ask them. Here are a few question ideas to get you going. Are there any parts of the story that drag? Do the scenes flow naturally into the next? Did you feel there were any areas that skipped over information? Does the pacing feel balanced — any areas that are too slow or too intense? Are there any exposition dumps (places I over-inform the reader) you struggled to get through? Can you see the world clearly while reading? Can you see the action clearly while reading? Can you see the characters clearly while reading? Can you describe what the main characters look like? Was it clear who is talking? Does the dialogue sound natural and realistic? Does the character development feel natural? Are there out of character moments? Do any of the characters feel cliche or stereotypical? What’s your favorite part and why? Did you have a least favorite part? What is it and why? The more you tailor these questions to your book, the better. So instead of asking “Is there natural flow between the scenes,” look for specific scene cuts you’re not sure about and mention them specifically. We're discussing #sensitivityreaders — what they are and why they're important. 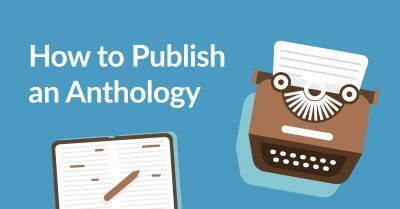 Are you ready to start sending your manuscript to your pre-publication readers? Before you go, here are a few more additional resources to help you in these final stages of revisions. Have you worked with beta readers? What kind of feedback did you receive? Leave any thoughts or questions in the comments below! ← How Making My Book Available in Print Landed It In "The Guardian"
Novel Revision: Practical Tips for Rewrites. Discover practical tips for revising and rewriting your novel's manuscript. Sensivity readers are a fancy name for the PC Censorship enforcers. Just let the readers decide if they are offended or not. Even if they are, vent about it on the internet, ask for a refund, move on with your lives. Hiring professionally offended people is not the solution imho. Sorry, but this is just a load of crock. Can't believe the folks here would actually encourage authors to voluntarily submit their work to censors. What a sad state of affairs for writers who are now being led to believe their words should be muzzled by committees, most who are obviously biased by personal opinions and agendas. For Reedsy to take the side of these rabid and toxic regimes simply indicates that you don't have writer's best interests at heart. Ray Bradbury must be turning over in his grave. He warned of this type of thinking in Fahrenheit 451 and it's ominous to see his predictions coming into fruition. Exactly. 1984 was supposed to be warning, not an instruction booklet. I'd agree with a lot of what you're saying – but what we're broadly talking about here isn't the same as censorship. Authors, especially indie authors, have the freedom to publish whatever they want. If they want to be provocative, that's cool; if they want to deliberately offend, that's their prerogative. I think name "sensitivity reader" is something that rubs folks the wrong way — it already sounds like they're admonishing a book before reading. However, I'd argue that their job is not to make sure that the book is 100% culturally sensitive; it's to read it with the sensibility of someone from another background. They can be invaluable if [important qualifier] your intention as an author is to include a more diverse set of perspectives. If a straight female author wrote a novel with gay and bi-sexual male protagonists, I'm sure she'd hope that those characters would resonate with LGBT readers. Having someone from that community feedback on her manuscript would really help iron out anything that could prevent her from achieving her goal of 'clicking' with those readers. I concur with the other two commenters here. Yet more burden on authors and more victimhood on readers. "sensitivity readers are no longer just recommended: they're essential." On the contrary, AVOIDANCE OF sensitivity readers is essential. Readers and listeners need to GROW UP. And "education" systems need to be corrected so as to again teach people to grow up rather than turn into big babies. "Sticks and stones won't break my bones, but words will be a violent criminal offence requiring imprisonment." Thanks for the info about beta readers and finding them. Indeed. I'm a beta reader for a writer friend, with this I hope I can provide better feedback for him in the future. Utterly disgusting to think a writer should be funneled to a "sensitivity' reader. I might just do that -- to make sure my novel is utterly insensitive. What a pile of shite. enough to cancel my subscription to Reedsy. What a shame that the only comments here so far are against cultural sensitivity, while the commenters confuse being alerted to where one has stumbled with censorship. You are still free to make your own mistakes after being warned, or after not bothering to ask to be warned. I can't speak for anyone else, but I don't see any comments against cultural sensitivity. There are, however, comments against pandering to outrage culture and abetting in the censorship of writing. An earlier version of this article clearly stated that "sensitivity readers are no longer just recommended: they're essential." That sentence has been reworked since the article posted, and small wonder. Nothing wrong with checking with a person or group for clarification if you so choose, but to suggest it's essential goes against the very spirit of the freedom of print. Sometimes people will be offended by what you say, do, or write. If you've written something that pleases everyone...you probably haven't written anything at all. Change and understanding come from dialogue, not from preemptive censorship and knee-jerk reactions to the culture of outrage that has become so prevalent in the age of social media. Suggesting that sensitivity readers are essential is a strongly worded opinion, but it does not go against freedom of speech (which is what I think you meant, not "freedom of print"). You can always disregard what they say, so your freedom is unimpinged upon. Agreed. It was really the suggestion that these groups are essential that caused my initial reaction. It's really just the thought that if writers change their manuscripts at every cry of foul then we might as well quit writing. Nothing wrong with a writer choosing to seek additional opinions, but that should always be a voluntary choice, not something to be pressured into. Of course, it's entirely a voluntary choice. 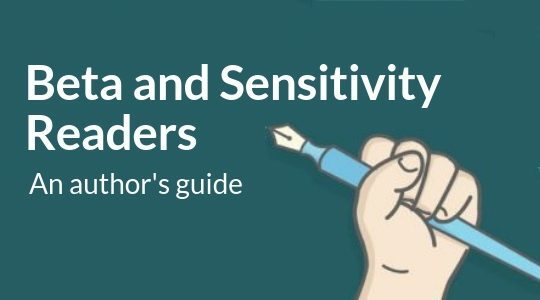 Most authors who have worked with sensitivity readers would agree that they're not there to cry foul, but to let the author know when they have inadvertently written something that goes against their intentions. If an author has written a story set in the favelas, surely they'd be mortified if native Brazilian readers thought that the characters in the book were just stereotypes. Sensitivity readers are there to work in the author's favor — and not to shut it down at the first sign of appropriation. Their advice can be followed or ignored, but at least the authors is working from a position of knowledge. I think my perspective is from reading about these bullying groups that force slanted perspective on authors in the name of cultural sensitivity. This is a major problem in the YA community and will only continue to become more extreme if such attitudes are encouraged instead of put in check. I realize that's not what's recommended in this article, but it's a worsening problem that hides under the guise of cultural sensitivity. Authors need to be especially careful who they trust their manuscripts to in this age of bandwagon outrage. "If an author has written a story set in the favelas, surely they'd be mortified if native Brazilian readers thought that the characters in the book were just stereotypes." It's oft been said that we should only write what we know (I don't know anything about the 'favalas'… and haven't written about them). However, this isn't to say writers shouldn't write about lifestyles and cultures they've never lived as part of, but before they write about them, they should research until they do know what they're writing about… and that includes identifying stereotypes, as well as cultural faux pas and common misperceptions. It what researching a subject is all about. I doubt that many crime writers are criminals, but we do the research. Many queries only take a phone call to sort out… whether it's to a cultural centre, to clarify matters and ask what bugs them in the media, to a police headquarters to check details of an individual station's custody suites, or to a 'massage parlour' to check on operational details … In the latter case, I was invited to visit and was given a guided tour of the premises and the opportunity to interview some of the girls and clientèle. If you are setting scenes, or even a novel, in another place then you need to immerse yourself in that setting… preferably by visiting, but there are other ways like literature, video (Google can be your best friend), or even restaurants that specialise in the place's cuisine. Staff there are usually from the culture and love talking about 'back home'. Research and prepare properly, and you won't need someone to tell you where you're wrong… You'll know. This really interested me because I've just published a novel with both Maori and Chinese characters, and I'm neither. I think it's good to be warned, but surely this should come up automatically in general research for your book? Ask some questions of people of other races, beliefs, whatever. And in my view, if you don't have friends or acquaintances you can ask, why are you including them in your book without doing proper research? I agree, Kristine… Those kinds of issues are part of the researching and writing, not the 'sensitivity reading'… at worst it's something your editor might query. Get the facts right, and the reader will believe the fiction. This has been mentioned in various places for a while. Personally, I see the whole idea of ‘sensitivity readers’ as the thin end of the wedge… Why am I not surprised that it originated in ‘the land of the free and the home of the brave’. Now that’s what I call irony. It’s effectively having our work censored before it gets published… and we all know what kind of societies were big on censorship, don’t we. As I see it, sensitivity readers' sole purpose is to make sure that anyone who might get upset is pandered to, and that our books are suitable for any readers, from kiddiwinks to aged strict chapelgoing maiden aunts… and are so bland and innocuous, that they aren’t worth reading by anyone. Freedom for writers pretty much guarantees that someone will get offended. It should foster debate. We shouldn't try to shut it down. I write crime fiction for adults, and if someone doesn’t like my characters and the way they interact, the way they think, the way they talk, or behave, then they can always put the book down. No one’s forcing them to read my books… or anyone’s books. My novels are meant for grown ups. If they don’t like it, they can stick with the comic book material found in those awful superhero movies the Americans seem to like so much. Today, everyone’s wanting sensitive treatment for the slightest thing, ‘safe places’ in universities, and to be sheltered from hearing or reading anything that makes them uncomfortable. 75 years ago, teenagers were wading ashore on France’s channel coast, under heavy fire from all kinds of armaments… Did they whinge and complain?… Probably, but those young heroes did their job… which for many involved dying for Europe’s freedom (and America’s too, if Hitler had got his way.) There were no safe places on the beaches of Normandy. The history of title changes to Agatha Christie's most popular novel (based on copies sold) shows this has always been a concern, but it was a matter of the book’s time, and I’d like to think that even the very non-PC original title of that book can be accepted as a product of a different time… and of that time’s differing sensitivities. It’s the writer’s job to sometimes make readers feel uncomfortable. Long may we be allowed to do it. Sensitivity readers are not censors if anyone who has used one would know - nor are editors. I call them fact checkers when I'm unsure. I'm writing about a Welsh queer detective but I'm English hetero with no criminal experience so I have readers that can spot errors for me - just like the editors that watch out for me. But then we live in an era when some writers don't believe in editors either - and it shows. If anybody is disabled like me, I appreciate being asked for my opinion. But I'm not a troll or a SJW. If people are looking for ‘problematic’ issues they will find them! And problematic character depictions and language - problematic for whom? Genuine areas of concern should be picked up by an editor or agent. I had to read this twice to make sure this wasn't a joke. Sensitivity readers? You've got to be kidding me. And to imply that it's a MUST in 2019 is simply ridiculous. This notion of removing 100% chance of offending anybody and everybody of anything under the sun needs to stop already. It's kind of ironic that this sort of thing originated in the USA (along with 'save places', and persecution complexes). So much for 'land of the free and home of the brave'. Just so you know... my comment was removed because, I presume, I suggested I might quit Reedsy for this idiotic post. Or else I used an euphemism for s**t. Toughen up, Reedsy. This pandering to the spoiled-child "outrage mob," who will always find an excuse to virtue-signal and beat their skeletal chests to proclaim their phony victim-hood, will be the death of any sort of worthwhile fiction. If the worlds of our creation must be submitted to committees of these spoiled, tantrum-throwing 6-year-olds-in-adult-bodies to be sanitized and approved, why in the Hell would I go to the trouble? If you don't like the author's worlds, don't read them. But don't tell *ME* what I can and can't read, damn you! !